Thanks to the Erin Bardwell Collective, who played at The Yeah Baby Free Rock Festival, for the soundtrack on this, the July 2011 slideshow. I’m off to Yorkshire for our summer holidays so this post will probably be the last for a week. 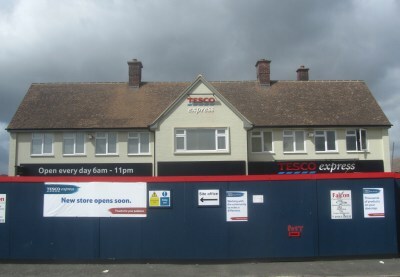 Recently a Tesco Express opened in what was the Fitzharris Arms – very close to an existing convenience store called The One Stop. 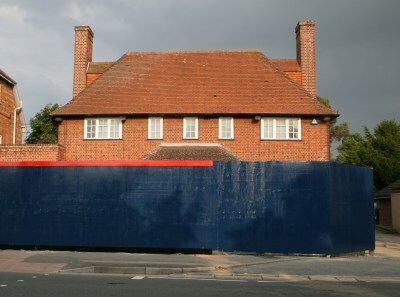 The Ox pub is going the same way – taking on the Tesco colours – and right next door to another convenience store called Best One. 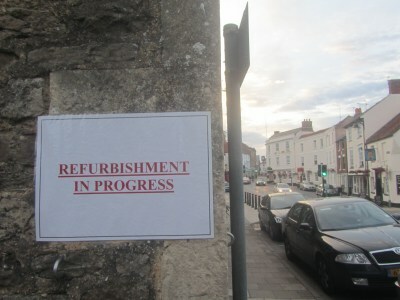 Advance warning signs have appeared round the town centre over the last 24 hours. 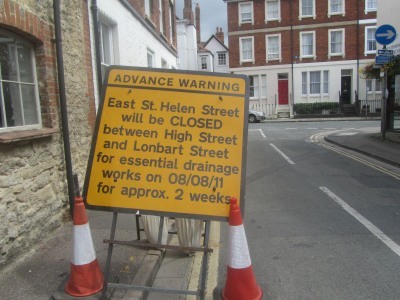 The top of East St. Helen Street will be CLOSED for two weeks in the middle of August. 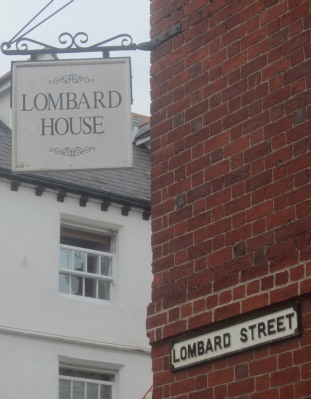 The spelling looks perfect to me - apart from the spelling of Lombard Street. 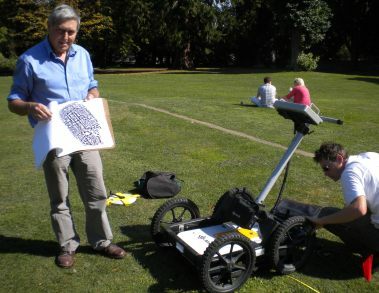 … charted using underground scanning techniques by the Lost Abbey Project. 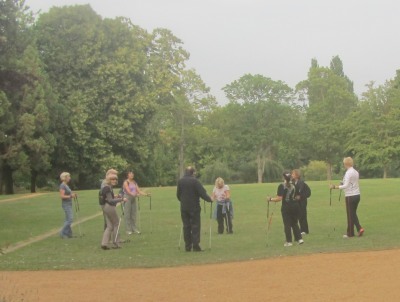 Today there were a group of people learning Nordic walking round the outline. 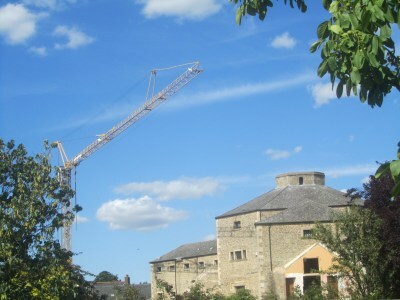 Over Heritage Weekend there will be the launch of the Lost Abbey information trail. More of that soon. 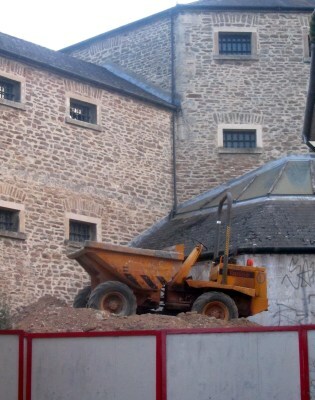 to the Old Gaol the other side – for this is now all part of one complex. 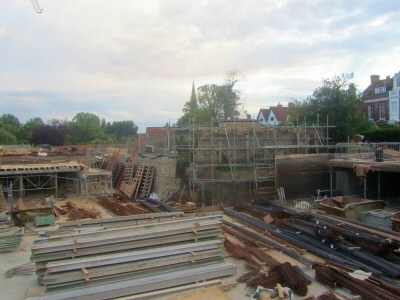 Girders and steel ties lay ready to be used as the skeleton for new buildings. 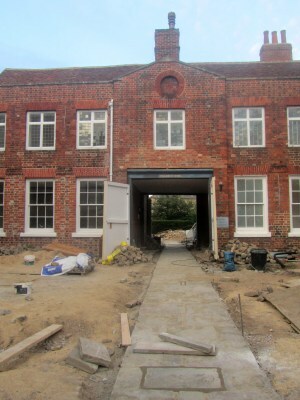 Older buildings are being merely refurbished. It will be interesting to see how the barred windows look when people live up there as luxury dwellers – not prisoners.